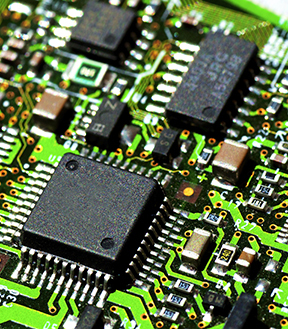 Cookson Electronics, a subsidiary of Cookson Group Plc, produces high performance materials and technology applications for use in printed circuit board fabrication, microelectronics packaging materials, and semiconductor fabrication processes. Cookson made the strategic decision to divest its Speedline Technologies Division (“Speedline”), a manufacturer of a comprehensive line of assembly equipment used in circuit board printing, reflow soldering systems, circuit board cleaning, chip attachment/underfill, and wafer bumping. At the time, very weak conditions in the global semiconductor industry were straining the finances of many companies serving the industry, including Speedline. Ameridan was engaged by a leading private equity group to provide market diligence services. Ameridan’s work focused on assessing: (1) the near term demand conditions in the SMT & semiconductor industries including an understanding of the lag between an increased demand for the end-use product and the demand for capital equipment; (2) customer perceptions of Speedline’s new products; and (3) Speedline’s supply chain in light of the profound movement of SMT and semiconductor manufacturing to Asia. Ameridan assembled and led a project team which conducted scores of interviews with customers, distributors and other participants in the global semiconductor industry. Ameridan interviewed parties located across the globe, including China, India, Eastern Europe, and North America. Manufacturer of steel lockers, shelving, and mezzanine systems. Manufacturer of high performance carburetors. Manufacturer of small gasoline engines used on snowblowers, lawn tractors, and other products. © 2018 Ameridan. All Rights Reserved.